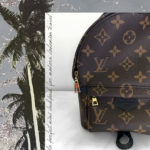 After I purchased my Louis Vuitton Palm Springs Mini Backpack, I realized that my current wallet didn’t fit. So I started looking around for a new wallet that would fit inside my bag. 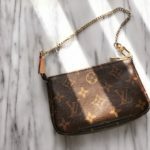 I had a few different styles in mind but finally settled on the Louis Vuitton Zippy also known as their coin purse. Now this is no coin purse mind you, this is actually a compact wallet able to hold multiple cards, cash and coins! I was excited that it could hold so much while still maintaining it’s petite size. 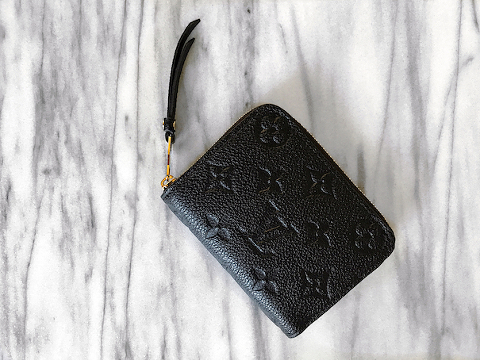 Originally I had the classic monogram in mind but when I saw the wallets in person I fell in love with their premium version. This version features empreinte leather and is embossed with their classic monogram. The leather was so gorgeous and has a strong grain so I know it’s going to last a long time. The black leather goes great with my Palm Springs Mini and the functionality can’t be beat for it’s size. I also love that it has a zipper closure instead of a button since I’m known to over stuff my wallets.